The day started out with sunny skies, but heavy cloud cover moved in quickly as colld front pushed down from the north. We stayed on Buffer Preserve Drive while looking for birds, but there are miles of trails that can be explored on foot, or even by horse, but we don't have a horse. There is a manatee overlook at the end of the drive, but we didn't make it quite that far today. At this time of the year, it's a great place to observe lots of the "sea cows" as the canal offers warm water and a lack of boat traffic in that area. 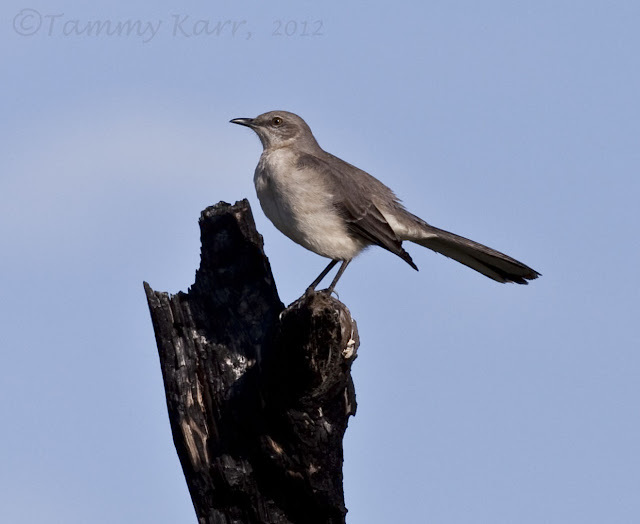 This Mockingbird is perched on a tree that is burned out. At the park, there is notable evidence of fires in many areas. The majority of these are from "prescribed burns", fires set intentionally to restore and maintain the communities. Without these fires, the pine flatwoods, as well as other plants and some animals that depend on these types of communities would be destroyed. 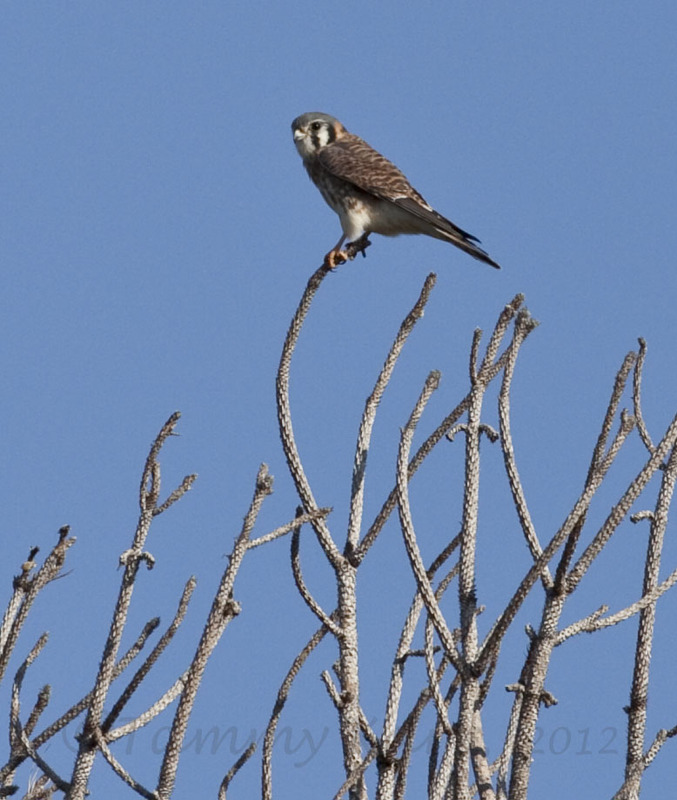 The Kestrel was definitely the most popular bird of the day. I saw at least seven of them! Such a beautiful bird. We only counted 11 species on our trip, not very impressive. I have higher hopes for the next trip, which I'm hoping will be soon. There are Red-Cockaded Woodpecker colonies that reside on the preserve and I'm hoping to see them! It's funny how these birds are all striking that sort of epic sentry pose, all looking to the left as if some great cataclysm is happening far away. 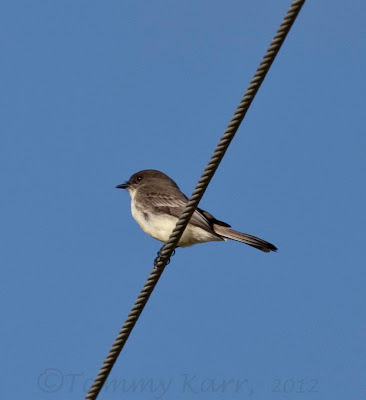 I made a birding trip today too that involved mockers, a kestrel, and a black phoebe--fun bit of bird coincidence. Cool pictures too. I like the different perches on display. Burned wood, living pine, and metal wires...there's something poetic about it. Good luck with the Woodpecker, sounds like a great area, I would love to see Manatee, great pics again Tammy.